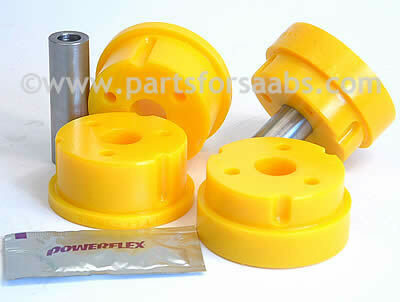 Powerflex polyurethane bush kit, to replace both top engine mounting bushes. As pictured these bushes are split to aid fitting. Also comes with a sachet of lubrication to ease fitting.